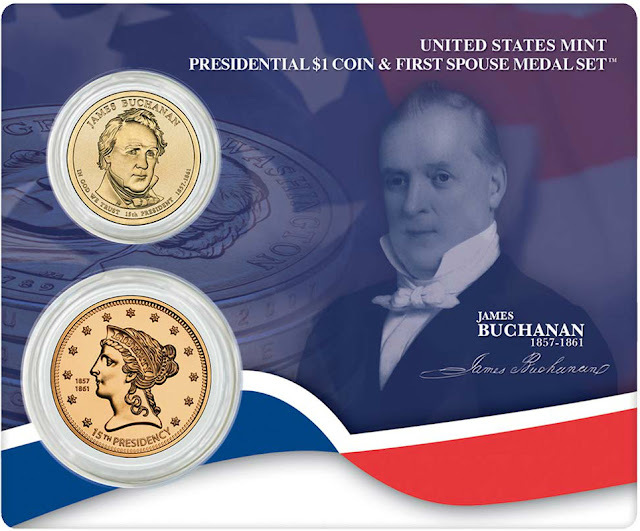 The James Buchanan Dollar marked the fifteenth release overall for the Presidential Dollar coin series, and the third release during the year 2010. 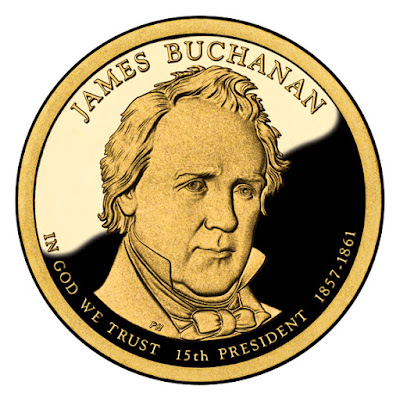 Although his presidency is not considered to be a success, his place in history is remembered with the issuance of this coin. Prior to his presidency, Buchanan had a successful law career, served as a state legislator, and was elected to the House of Representatives and Senate. He was also the Secretary of State under President James K. Polk and the minister to Russia and Great Britain. Two days before his inauguration, the Supreme Court made the Dred Scott decision, which legalized slavery and propelled the nation to civil war. 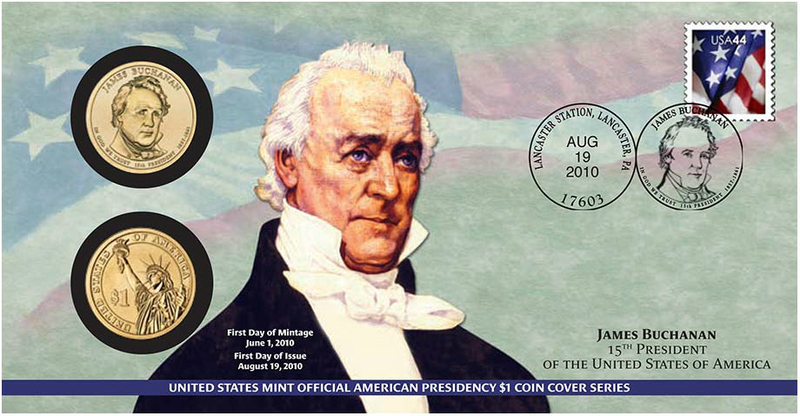 The official circulation release date for the James Buchanan Presidential Dollar was August 19, 2010. On the same date, a launch ceremony was held on the grounds of Buchanan’s former home in Lancaster, Pennsylvania. Attendees of the ceremony included US Mint Deputy Director Andrew Brunhart and Emeritus Professor of Educational Administration of Temple University Donald Walters, who gave a speech on Buchanan’s legacy. The obverse of the coin included a portrait of the one term President, designed and sculpted by Phebe Hemphill. Inscriptions included “James Buchanan”, the motto “In God We Trust”, “15th Presidency” and the year’s of his Presidential term “1857-1861″. The reverse of the coin will featured an image of the Statue of Liberty designed and sculpted by Don Everhart. This was intended to represent the concept of Liberty. 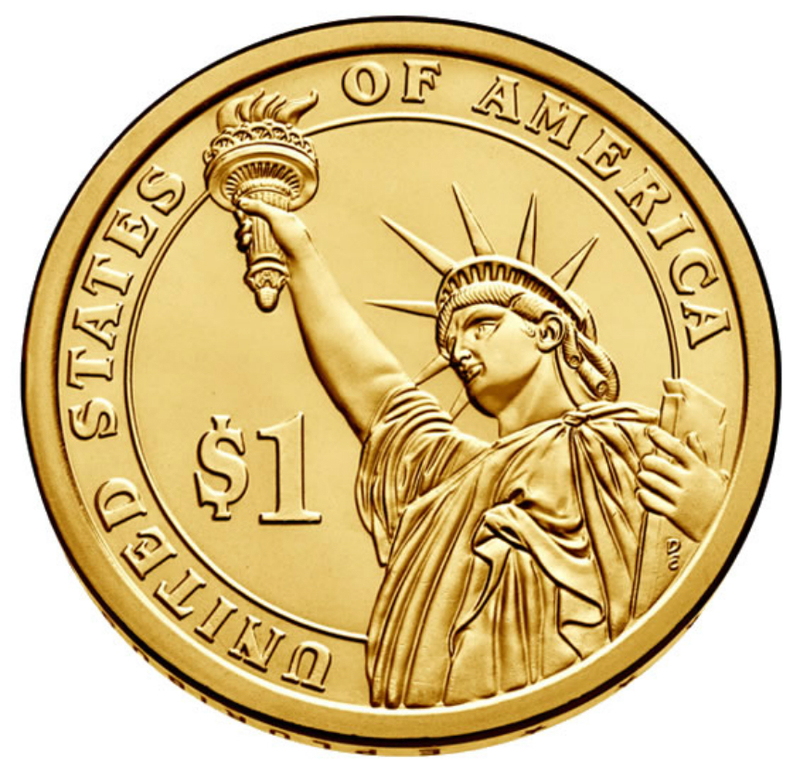 The reverse inscriptions included “United States of America” and the denomination “$1″. Incuse edge lettering includes the date, mint mark, and the motto “E Pluribus Unum”, separated by thirteen stars. Circulating coin production occurred at the Philadelphia and Denver mint facilities with a combined 73,360,000 pieces struck. This represented the lowest mintage for an issue of the series to date. 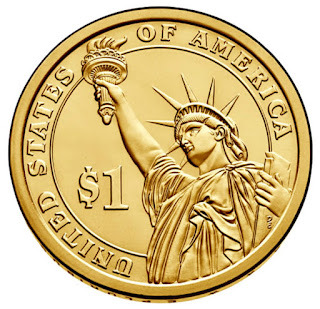 Numismatic products available from the United States Mint incorporating the coin included annual sets, numismatic rolls, Presidential $1 coin and medal sets, and First Day Coin Covers. James Buchanan, Jr. (April 23, 1791 – June 1, 1868) was the 15th President of the United States (1857–1861), serving immediately prior to the American Civil War. He represented Pennsylvania in the United States House of Representatives and later the Senate, then served as Minister to Russia under President Andrew Jackson. He was named Secretary of State under President James K. Polk, and is to date the last former Secretary of State to serve as President of the United States. After Buchanan turned down an offer to sit on the Supreme Court, President Franklin Pierce appointed him Ambassador to the United Kingdom, in which capacity he helped draft the Ostend Manifesto. Buchanan was nominated by the Democratic Party in the 1856 presidential election. Throughout most of Pierce's term, he had been stationed in London as minister to the Court of St. James's and so was not caught up in the crossfire of sectional politics that dominated the country. His subsequent election victory took place in a three-man race with John C. Frémont and Millard Fillmore. As President, he was often called a "doughface", a Northerner with Southern sympathies, who battled with Stephen A. Douglas for control of the Democratic Party. Buchanan's efforts to maintain peace between the North and the South alienated both sides, and the Southern states declared their secession in the prologue to the American Civil War. Buchanan's view of record was that secession was illegal, but that going to war to stop it was also illegal. Buchanan, an attorney, was noted for his mantra, "I acknowledge no master but the law." By the time he left office popular opinion was against him, and the Democratic Party had split. Buchanan had once aspired to be a president who would rank in history with George Washington. However, his inability to identify a ground for peace or address the sharply divided pro-slavery and antislavery partisans with a unifying principle on the brink of the Civil War has led to his consistent ranking by historians as one of the worst presidents in American history. Historians in both 2006 and 2009 voted his failure to deal with secession the worst presidential mistake ever made. He is, to date, the only president from Pennsylvania and the only president to remain a lifelong bachelor. He was the last president born in the 18th century.